Its a good quality inner tube at a great price. Great tubes... good price and quite resilient. 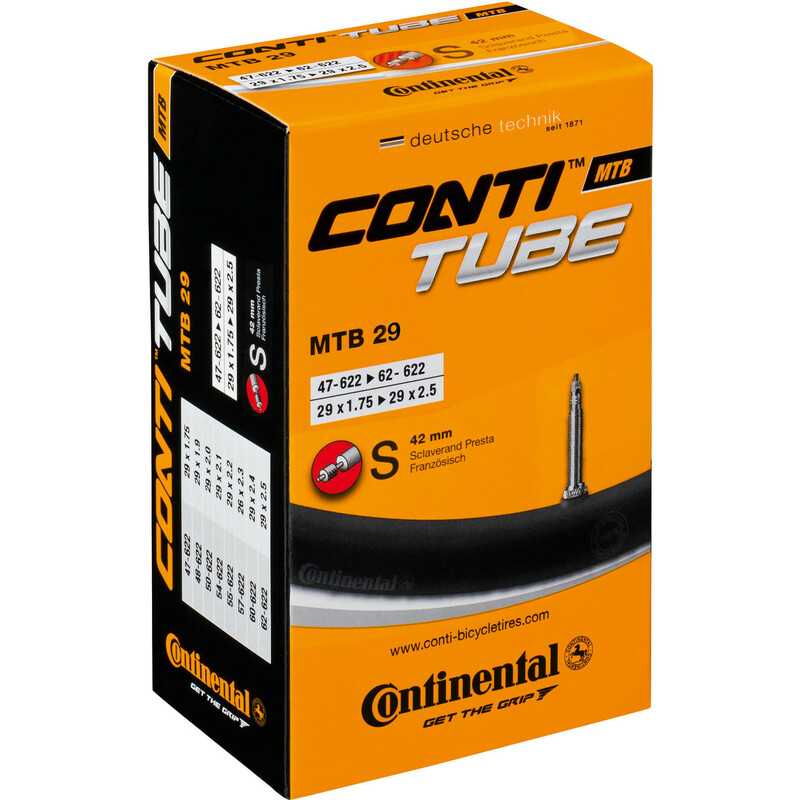 Top quality - never had issues with Conti tubes. Thick walls easily accommodates 2.5", but heavy-ish (for a tube). Read as : reliable. 1.75" / 2.5" 42mm Valve Presta 29"
1.75" / 2.5" 60mm Valve Presta 29"